A few weeks ago the lovely Cindy, the creator of Shimmer Polish, asked me if I could review some of her polishes. And of course I agreed! I received so many beautiful shades from Cindy that I had a hard time choosing which one to try first. So my first pick was none other than Cindy! 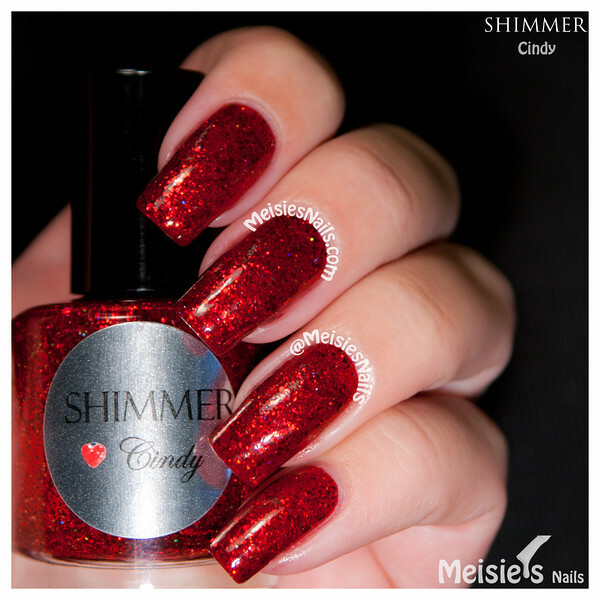 Cindy is a deep ruby red glitter polish with a hint of holo. 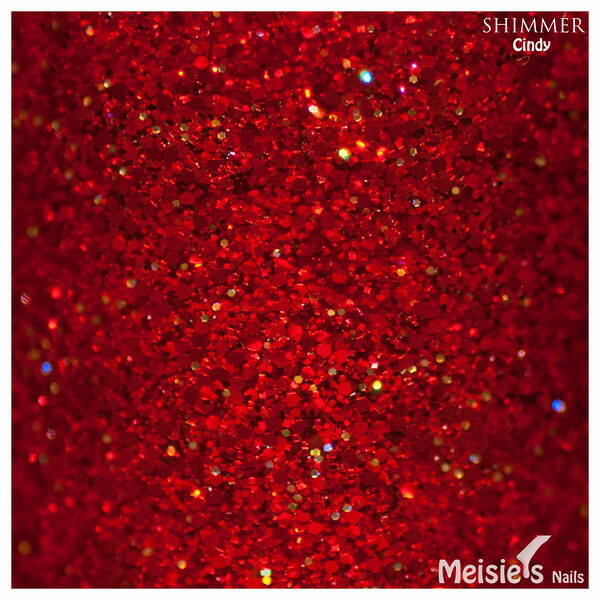 It is a mix of different sized red glitter hex and tiny red squares and some scattered micro holo hex in a ruby red jelly base. You can either wear it on its own or over a red base. For the swatch above, I applied 2 coats of Shimmer Cindy over Catrice Caught on the Red Carpet. My first impression with Shimmer Polish is overall very positive. The application is very smooth and the brush comes out loaded with glitter each time you dip it in to the bottle. You can easily get away with just one coat. Another thing worth mentioning is that this polish didn't dry to a rough surface as most glitter polishes like this one do and it wasn't top coat "hungry"either, which is a good thing! So this was my 1st Shimmer Polish out of the bunch. I hope you liked it just as much as I did, because I'll be coming back soon with lots more! Stay tuned!